Get the best deals on accessories for your bathroom in our massive bathroom accessories sale! 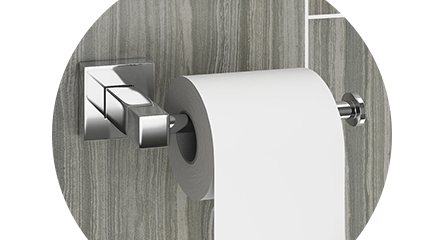 Find cheap bathroom accessories and sets from a wide range of top brands in every style! Our accessories clearance offers include cheap accessories for baths, basins, toilets and showers. When you browse shower accessories in our clearance sales you'll discover everything from cheap shower curtains to cheap shower heads and shower baskets, also known as a shower caddy or shower tidy. Our cheap shower accessories are made by some of the best brands in bathrooms. Whether you're in need of a cheap toilet brush or looking for cheap toilet seats we have everything right here! Find huge reductions and offers on all our toilet accessories to give your WC a whole new feel without it costing the earth!